Hopkins did attempt a field goal during Sunday's 24-0 loss to the Eagles. Analysis: Hopkins made 90 percent of field goals he attempted this season (26-for-29) and converted 95.2 percent of extra-point tries (25-for-26). Despite his strong accuracy, Hopkins' low volume limited his fantasy upside all throughout the 2018 season. With two years remaining on his contract, Hopkins will return as Washington's starting kicker in 2019. Hopkins made all three of his field-goal attempts and an extra point in Sunday's loss to the Titans. Analysis: Hopkins scored 10 points for the second week in a row, hitting on three field goals in a game for the fifth time this season. He's drilling an impressive 90 percent of his field goals this season (26-for-29). 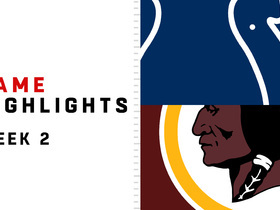 He'll look to maintain the quality play in Washington's season finale against the Eagles in Week 17. Hopkins made three field goals and an extra point during Sunday's 16-13 win over the Jaguars. Analysis: After putting up a goose egg in Week 14, Hopkins nailed three field goals for the fourth time this season. It still remains hard to rely on Hopkins for the rest of year, however, as the absence of Alex Smith under center has stalled Washington's offense. Hopkins finished Sunday's game against the Giants without any kicking attempts. Analysis: It was a rough day for Hopkins' owners, as he went without a stat line for the first time all season. 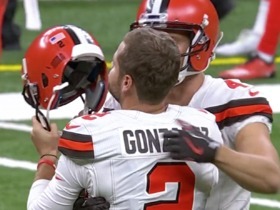 The 27-year-old is in the midst of a career season highlighted by a career-best field-goal conversion rate (87 percent). Without Alex Smith, Washington's offense has endured a noticeable drop-off, which apparently has trickled down to Hopkins. Hopkins made both of his field-goal attempts and converted his only extra-point try in Monday's loss to the Eagles. Analysis: Hopkins performed better than expected in a game that saw backup quarterback Colt McCoy leave with a lower leg injury. McCoy was replaced by third-string QB Mark Sanchez, and the offense seemed to stall. Washington is already without quarterback Alex Smith (lower leg) for the season, so Hopkins will be difficult to trust for the remainder of the season. Hopkins made his only field-goal attempt and converted two of three extra-point tries during Thursday's 31-21 loss to the Cowboys. Analysis: Hopkins missed his first extra point of the season Thanksgiving Day. The 28-year-old's fantasy stock took a significant hit after quarterback Alex Smith (lower leg) was lost for the season Week 11, and he'll be difficult to trust down the stretch. Hopkins has made only one field-goal attempt in each of his last two games. Hopkins made each of his three PATs and missed a 63-yard field-goal attempt in Sunday's 23-21 loss to the Texans. Hopkins (groin) is active for Sunday's game against the Texans. 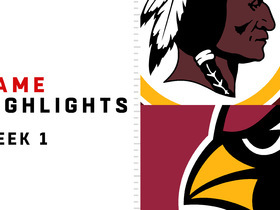 Analysis: Hopkins managed one limited practice this week -- Friday -- after which he told John Keim of ESPN.com that he planned to "give it a go. ... It [the groin] was pain-free." 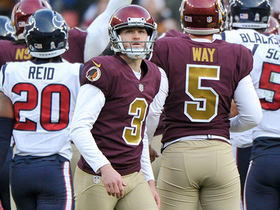 The Redskins clearly agreed, signing no replacement kicker in the meantime. Hopkins thus will face a Houston team that has allowed 7.0 real-life points per contest to kickers during its current six-game winning streak. Hopkins (groin) said he's pain-free and expects to play in Sunday's game against the Texans, John Keim of ESPN.com reports. Analysis: Despite his stated confidence, Hopkins is listed as questionable on the Redskins' final injury report for Week 11. The possibility of an absence will need to be seriously considered if the Redskins sign another kicker Friday or Saturday. With the banged-up Washington offense facing a tough Houston defense, Hopkins doesn't profile as a top-12 fantasy option at his position this week. Hopkins (groin) didn't participate in Thursday's practice, Kareem Copeland of The Washington Post reports. 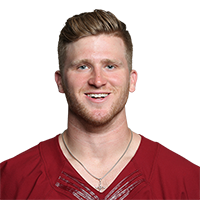 Analysis: Hopkins' absence was expected after coach Jay Gruden said the kicker would be held out until Friday before testing out the health of his groin. If the injury is still affecting Hopkins at that point, the team could sign another kicker to the roster ahead of Sunday's game against the Texans. Given his shaky health and the fact that he's supported by a rather low-powered Washington offense, Hopkins doesn't profile as a strong fantasy option in Week 11. Hopkins was held out of Wednesday's practice with a groin injury, Kareem Copeland of The Washington Post reports. Analysis: Coach Jay Gruden said Hopkins will return to practice Friday to test out his groin. The team hasn't yet signed another kicker, but it may need to do so before Sunday's game against the Texans if Hopkins fails to progress as anticipated. Hopkins has been solid yet unspectacular this season, scoring at least six points in eight of nine games. Hopkins converted all three of his field-goal attempts and made his lone extra-point try during Sunday's 16-3 win over the Buccaneers. Analysis: Hopkins accounted for 10 of Washington's 16 total points, including two field goals of over 40 yards. The six-year pro has missed only two field goals this season and remains perfect on extra-point attempts. Hopkins will see a favorable matchup against the Texans in Week 11. Hopkins did not attempt a field-goal and converted both extra-point tries during Sunday's 38-14 loss to the Falcons. Analysis: Hopkins did not see much use in Week 9, mostly due to the fact that Washington fell behind early against the Falcons and spent the entire contest reaching for touchdowns. Following a down week, Hopkins will look to bounce back against a league-worst Buccaneers' defense Sunday. 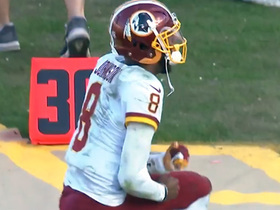 Washington Redskins place kicker Dustin Hopkins misses game-winning 63-yard FG attempt. 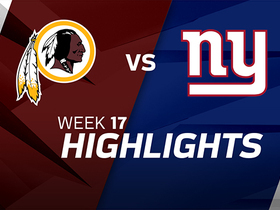 Watch the best plays from the Week 17 match up between the Washington Redskins and the New York Giants. 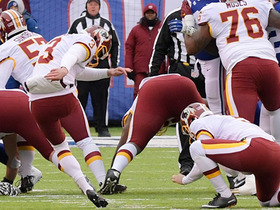 Washington Redskins kicker Dustin Hopkins can't connect on this 47-yard field goal. 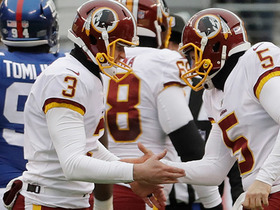 Washington Redskins kicker Dustin Hopkins drills a 49-yard field goal before halftime. 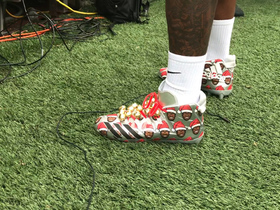 Denver Broncos linebacker Von Miller wears epic Santa cleats before his team's Christmas Eve game against the Washington Redskins.